The Fish in the Forest is an elegantly written, beautifully illustrated exploration of the complex web of relationships between the salmon of the Pacific Northwest and the surrounding ecosystem. 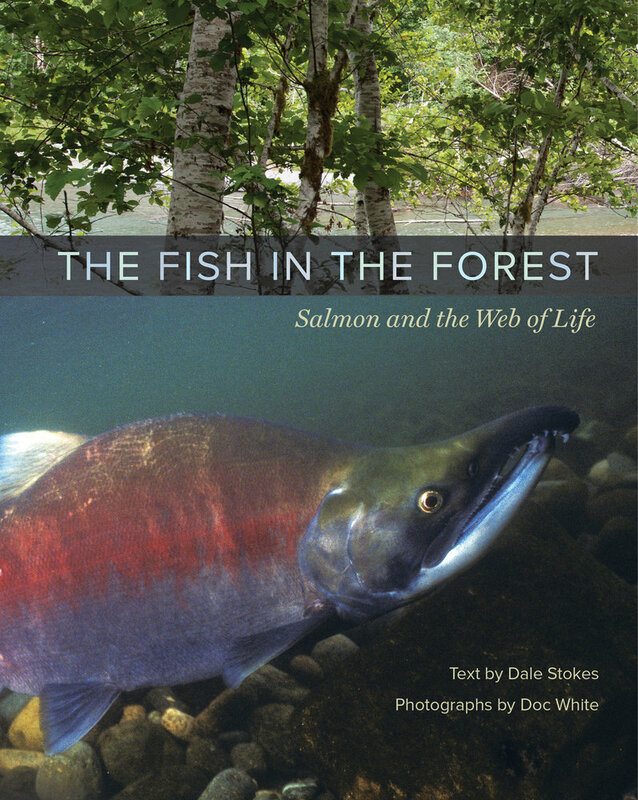 Dale Stokes shows how nearly all aspects of this fragile ecosystem—from streambeds to treetops, from sea urchins to orcas to bears, from rain forests to kelp forests—are intimately linked with the biology of the Pacific salmon. Illustrated with 70 stunning color photographs by Doc White, The Fish in the Forest demonstrates how the cycling of nutrients between the ocean and the land, mediated by the life and death of the salmon, is not only key to understanding the landscape of the north Pacific coast, but is also a powerful metaphor for all of life on earth. Dale Stokes is a research oceanographer in the Marine Physical Laboratory at Scripps Institution of Oceanography and a scientific advisor to several natural history documentary films. Doc White is an acclaimed natural history photographer whose work appeared in Watching Giants: The Secret Lives of Whales (UC Press, 2009) and other books. "Salmon were the most important keystone vertebrates in the history of the North Pacific until we arrived. Stokes’ intelligent text and White’s luscious pictures will explain why--and why they must be saved." John E. McCosker, Chair of Aquatic Biology, California Academy of Sciences. "This is a truly lovely, entertaining, and informative book. It pays homage to the intricacies of salmon, from molecules to ecosystems, with accurate, readable text and great photos. With subtle passion, it makes the case for preserving the amazing salmon-forest connection. Buy a copy for yourself and for a local policy maker; help make Pacific Coast society more salmon-centric."